I've spent the last two days photographing, editing, and writing an academic paper, not to mention swimming front crawl and breast stroke through some serious waves at the lake and sprinting up and down the mountain with dogs in terms of leisure. 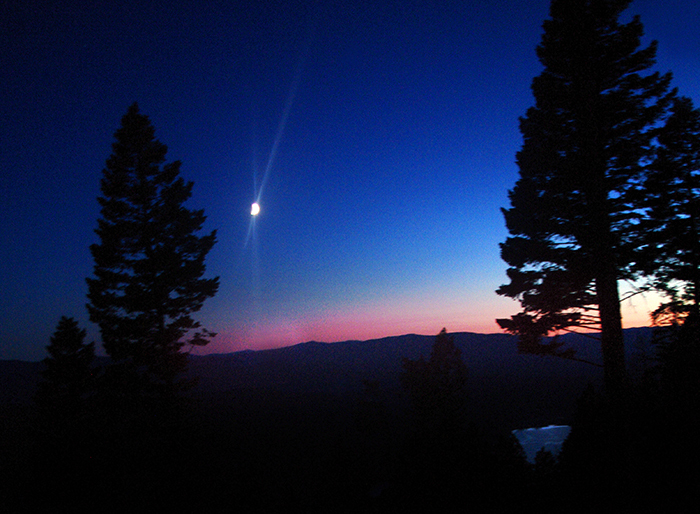 So I thought I've earned a bit of time away from the computer, the camera, and everything else, for that matter, until I looked out the window and--finally!--saw the new crescent Moon over another pink-stripped remnant of a sunset. I couldn't stay away. 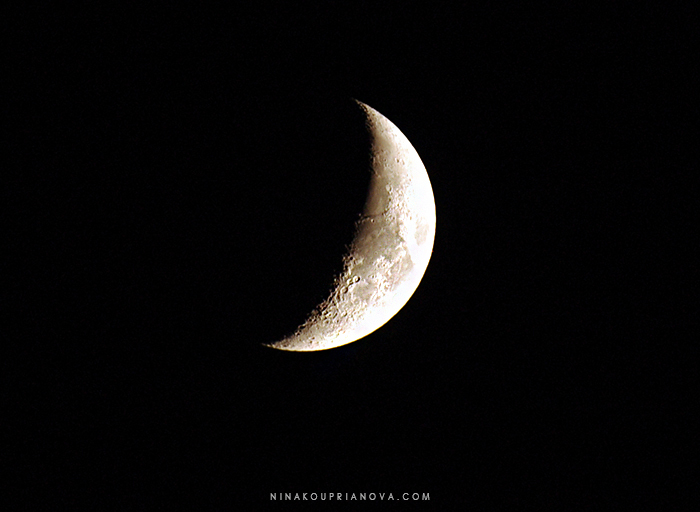 This is the crescent Moon at exactly 10:45 pm on July 13, 2013.